This short post will show you to change the default Vesta port from port 8083 to port 2053. You could change your port number to any other number provided it is not being used by any other applications. Watch the video above for a step by step guide on how to change the Vesta port number. Delete the old port, 8083 . 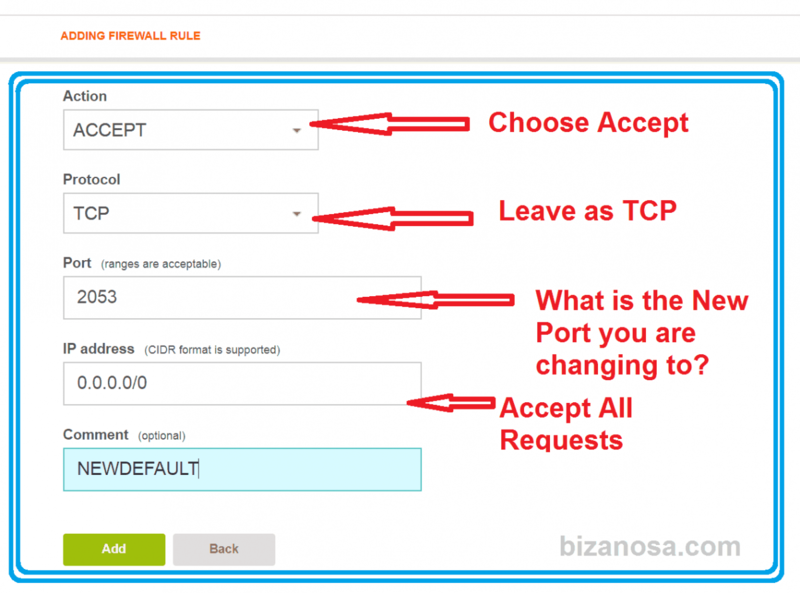 Then click Add, to add the new port to your Firewall. #5 Next, edit NGINX to listen to the new port, in my case it is 2053 . Use the command below to edit NGINX config file via the Nano editor. Note that this Vesta is running on Centos 7.5 . Then exit out of nano Editor, by pressing CTRL X , then Y , then press Enter. Then restart Vesta using the Command below. Now log into your VestaCP using the new port as follows. Finally you may delete the old port, 8083 . To delete the port 8083 from your Firewall, just click on Firewall on your Top Menu within Vesta. Then hover over port 8083 and delete it. That’s how to replace port 8083 on VestaCP. If you want to use VestaCP via Cloudflare then, this may be necessary process for you since Cloudflare does not filter traffic from port 8083. Here is the list of supported ports on Cloudflare. You may change your Vesta Default port to any other available port.